It seems like a simple plan—put people to work by planting trees. But the documentary “City of Trees” from Meridian Hill Pictures is far from simple. Tensions flare in the Washington D.C. community the tree-planting program targeted and the group tasked with using a government grant for both beautification and empowerment face a deadline before the grant runs out. Directed by Brandon Kramer and produced by his brother, Lance Kramer, “City of Trees” is much more than a story about brightening neighborhoods and helping men overcome unemployment through green jobs. It is a tale of redemption, hope, perseverance and the lessons learned from what dedication and hard work can bring. And the film creators said it is also a lesson for social workers, tasked with helping people help themselves and better their lives. “Social workers have told me there are not a whole lot of films out there that give you a perspective of what it’s like to be in a place of … dealing with the complexities of a marginalized group,” Lance Kramer told Social Workers Speak. For nearly 30 years,Washington Parks & People, an alliance of community urban park partnerships, has been charged with the dual purpose of beautifying neighborhoods and creating jobs for the disenfranchised. The film is available to stream on Netflix, iTunes, Amazon Video, and Google Play. The filmmakers have also provided a screening kit if you decide to show the documentary in your community. During the Great Recession that began almost a decade ago, the group received a stimulus grant to create a “green” job-training program in poor neighborhoods. The backdrop for “Trees” is southeast Washington, D.C.’s Anacostia neighborhood—east of the river that bears the same name. Because Anacostia is one of the lower income neighborhoods in the city, it has been a focal point for programs for low-to-moderate income residents, but many residents are leery of help. Anacostia resident Renee Sumby, who is board member of Manna Inc., an affordable housing developer and not associated with the documentary, says a number of residents are hesitant to accept help from people who don’t look like them. 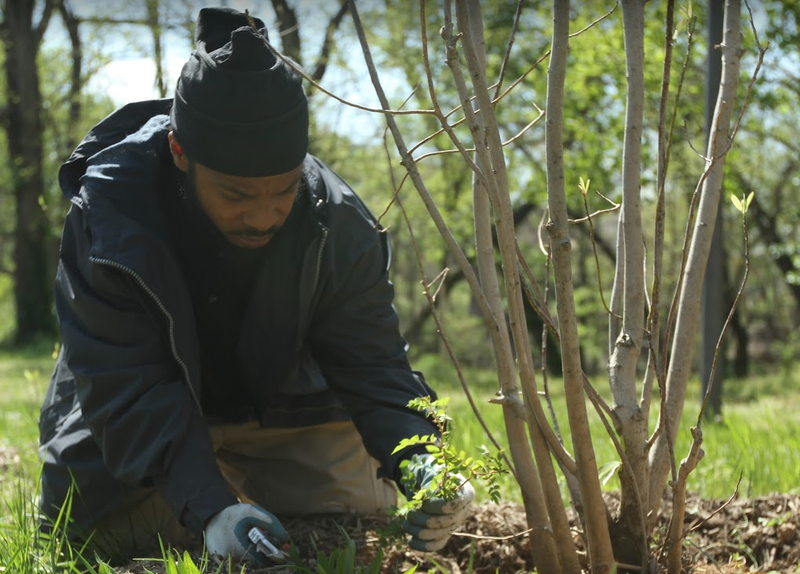 Parks & People had two years to help the jobless find work and care for parks in their neighborhoods—despite opposition from some residents and even criminals who said the tree-planting disrupted their activities. Today, the area still struggles with blight and apathy. However, there are pockets of Anacostia that are being gentrified. Directed by grassroots environmental activist Steve Coleman, the group was charged with using the grant to hire 150 unemployed residents to both care for the city’s most devastated urban parks and better their soft skills to get jobs. The documentary put a spotlight on some of the people affected by the program. One was James Magruder. For him, the program represented a chance to position himself as a leader in his neighborhood as he worked to negotiate with community leaders about Parks & People’s intentions. There was Charles Holcomb. For him the paycheck from planting trees was an opportunity to give his newborn daughter the childhood and life he wishes he had experienced. And then there was Michael Samuels, who said the the job training he received would help him move forward after a drug conviction stained his employment record. Lance Kramer says social workers who watch the film will probably already recognize how hard it is for organizations that have good intentions to help people they are trying to serve. Tagged as: City of Trees, documentary, jobs, Lance Kramer, National Association of Social Workers, social workers, tree planting, Washington D.C.